Preparations to restart offshore drilling for oil are underway, with a group expected to commence conducting 3D activities from Sunday. According to the Ministry of Natural Resources and the Environment and the Guyana Geology and Mines Commission (GGMC), fisherfolks and mariners should be on the lookout for the sensitive devices that will be used. The activities are being conducted by the Esso Exploration and Production Guyana Ltd./Shell Exploration and Production Guyana Ltd., through CGG Veritas offshore Guyana. In October 2008, Guyana and Esso reaffirmed a Petroleum Prospecting Licence and Petroleum Agreement. A release from the GGMC then said that Esso was required to immediately acquire a regional 2D seismic target area. “These surveys may be followed with 3D imaging methods that will include 3D seismic, all in an effort to identify possible targets for drilling. The decision point for drilling will be made if any suitable targets are identified,” GGMC had said. Esso got its licence in July 1999 for exploratory works and commenced its programme of regional aeromagnetic and 2D seismic exploration along with other investigative procedures. 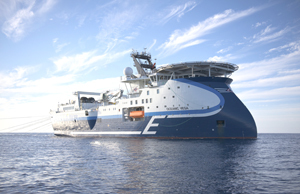 These operations were discontinued as a result of the Guyana/Suriname maritime boundary dispute which has since been resolved in the Permanent Court of Arbitration. Guyana has already had two wells drilled in its waters, but these failed to find oil in commercial quantities.